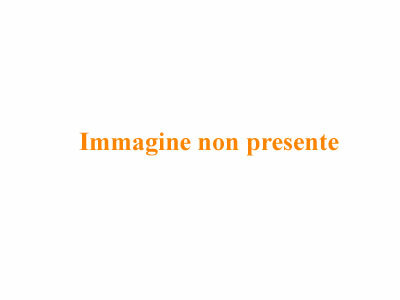 From Sabaudia San Felice Circeo, Sperlonga from Ventotene to Gaeta, this year the Lazio Piazza seven places in the ranking of the Blue Flag FEE (Foundation for Environmental Education), international recognition addressed to seaside resorts that meet specific sustainable land management policies. Wonderful beaches and spotless waters have contributed significantly to achieving this target area … and how to blame them: the coast of Lazio, with its islands, is a destination of the most popular in Italy. As recounted a famous song, “for this year do not change the same beach same sea”, also in 2014 the beaches of this region have maintained high the image of Italy, offering spectacular locations and glimpses of pristine sea. So here’s a rundown of Lazio beaches prized for their particularities from most tourists around the world. 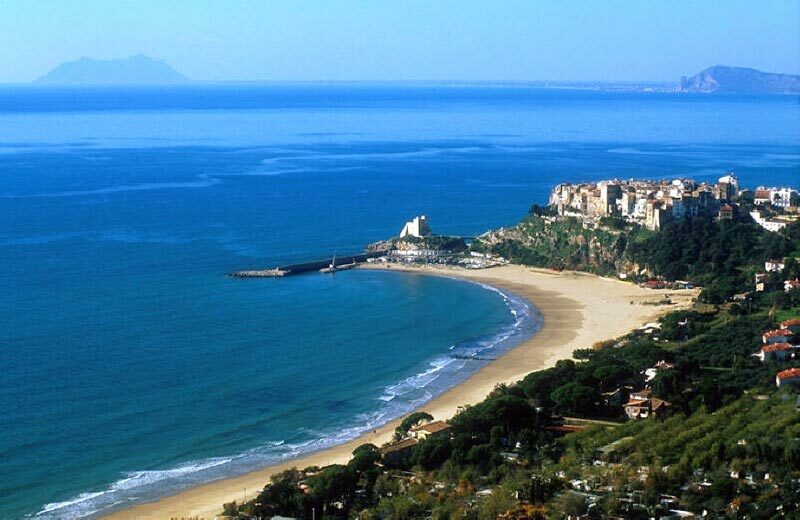 Between the towns of Gaeta and Sperlonga, along the Via Flacca, is the dell’Arenauta beach or beach of 300 steps. Nestled between the rocks, this beautiful beach is accessible through a paid course (2 €) consists of 300 steps, marked by a sign reading “last resort” and immersed in a wonderful atmosphere. As you descend, you can see the beach in all its glory. With its golden sand and its transparent sea, the Arenauta also offers visitors the chance to rent chairs and umbrellas thanks to the presence of a small bar. Council to visit it in June and September because during these months it is easy to enjoy absolutely quiet spaces. Also for this reason, a part of the beach, more precisely on the left side, is reserved to natural area indicated by messages. 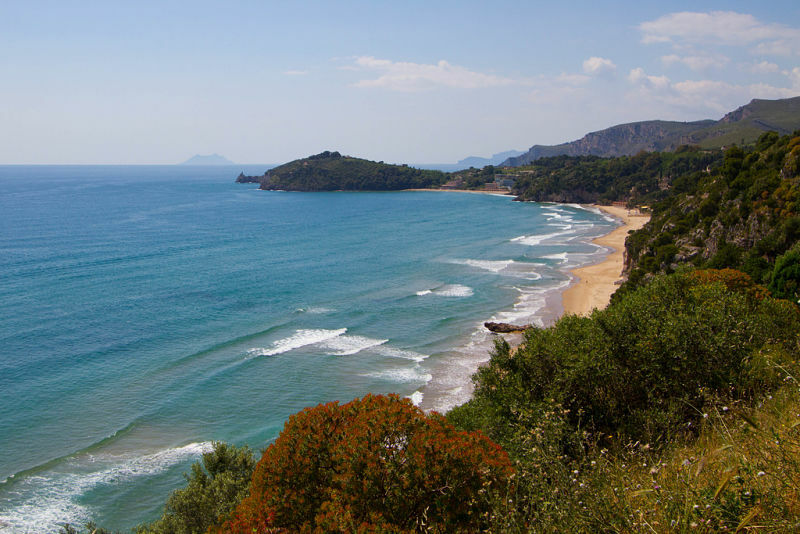 The Sabaudia beach, in the shadow of Mount Circeo, with its soft dunes that stretch for 25 kilometers between the Lido di Latina and Torre Paola, is a favorite destination of the Romans due to its proximity to the capital. 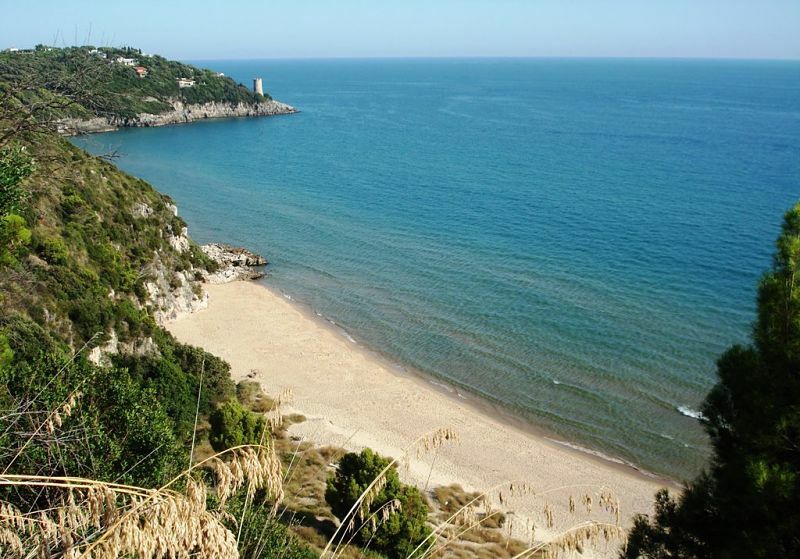 It is immersed in the Circeo National Park and its dunes are protected today because endangered. With 15 kilometers of fine beaches by the half-moon shaped, Sabaudia is, because of its dunes, a unique environment in Italy. Behind the beach is, in fact, present this “dune” cord that can reach a height of 27 meters, on top of which runs a road that winds along the way. The best time to see this show of nature in all its beauty is certainly the spring when the dune shows its special side: a lush flowering transforms it into a mosaic of colors ranging from yellow to the legume Lotus Pink, intoxicating air of a good fragrance. Protected by one of the villages considered among the most beautiful in Italy, the Sperlonga beach is washed by the sea that forms the Blue Oasis of Tiberius’ Villa, an area of nearly eleven hectares so named because of the archaeological remains of which are still visible and can be visited. Sperlonga owes its name to the natural caves (speluncae) that open along the coast. The Beach Angle is one of the best traits of free beach Sperlonga and is part of the marine reserve Villa Tiberio, Capovento and Punta Cetarola. Unique charm and wild, this beach is reached by a staircase that from the municipality leads to the port. With its crystal clear sea and the rich sloping seabed of very interesting flora and fauna, it is a favorite destination for divers and certainly one of the most visited beaches of the coast. We are on the smallest and most fascinating island of the Pontine, Ventotene. The beach of Cala Nave is located on the southeastern part of the island and has a small strip of sand of light color that alternates with gravel. Not far from the village, this beautiful cove, reached along the numerous caves carved into the tufa, is definitely the most beautiful place on the island. A large rock, a small islet and a stack make this little gem a wonderful treasure to be discovered. This beautiful beach is accessible by sea or by land through a tunnel built in the Romanesque period that leads on the road, re-opened a few years after the safety. 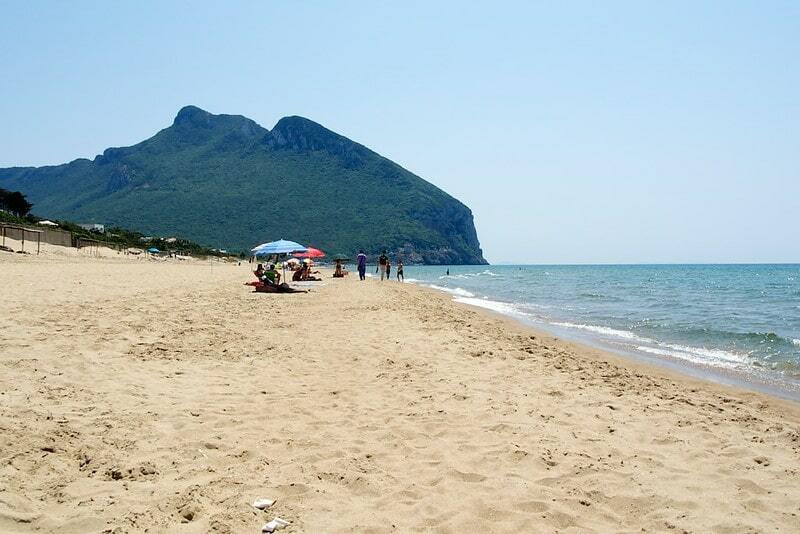 It owes its name to the Neapolitan dialect, which means beach-age, and its characteristic shape of a crescent. 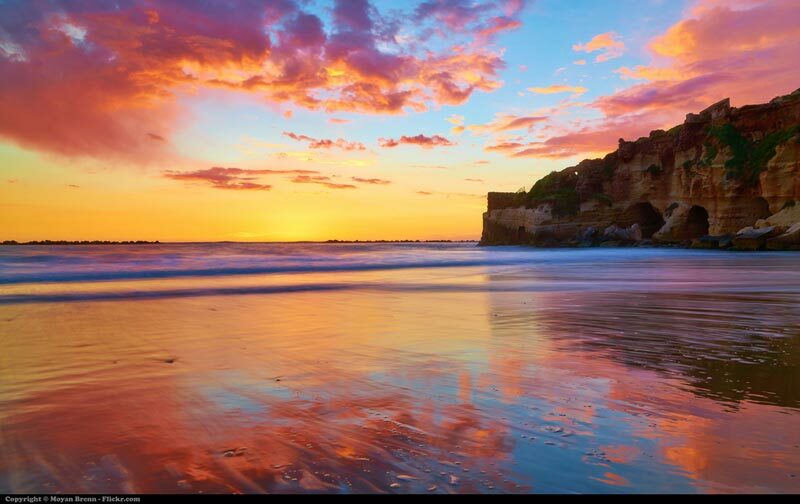 A beach definitely impact, marked by the imposing cliffs that exceed 100 meters in height, promptly fenced to avoid the danger landslides. Chiaia di Luna was once a greek port of which, however, no trace remains, while, at the top of the beach, still stands a Roman necropolis; this makes it even more impressive this unique landscape of its kind. The beach is lapped by turquoise waters, clear and crystal, and has a sandy bottom ideal for bathing and swimming. But I want to warn all those who want to visit the beach service is only present along the eastern stretch of the sandy, otherwise governs the nature! The island of Palmarola is located in the archipelago of Ponzine Islands and, thanks to its pristine look and variety of its coasts, it is considered one of the most beautiful in the world. Inhabited only in summer, it becomes a place of retreat for ponzesi that, escaping the chaotic Ponza, take refuge in the “cave” houses, typical dwellings carved into the rock of Palmarola. Cala del Porto is the only safe landing of the island; The sand and pebble beach still retains the look of a wild time. Protected from above Stack of San Silverio, on its flanks exhibit the trademark “vricci”, the limestone caves carved long ago by farmers. 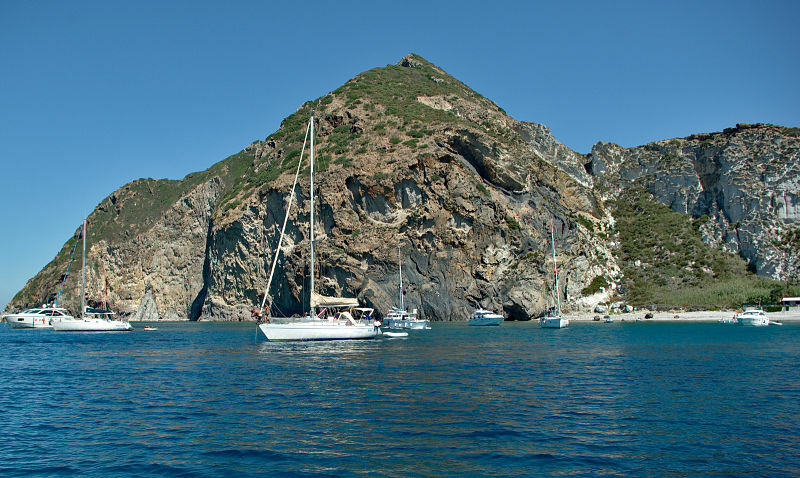 Nearby are two small restaurants from which you can also admire the beauty of the two huge rocks of the galleys. A tiny strip of beach in front of an archaeological wonder: this is the beach of Caves of Nero. Anzio, crowded place of the Roman seaside tourism, archeology is, in fact, present a dominant position. This tiny beach rests on part of the ruins of the Imperial Villa of Nero, an impressive archaeological masterpiece that extends for several hundred meters above the surrounding territory. Located inside the archaeological area, this soft golden sand beach will project into another dimension, giving you the opportunity to immerse yourself among the remains of the villa of rich flora and fauna of incomparable beauty. If you want to experience the thrill of swimming in the ruins of our ancestors, this is the beach for you. Three kilometers of coastline mainly equipped and full of night life, this is the beach promenade of the Circe of Terracina. 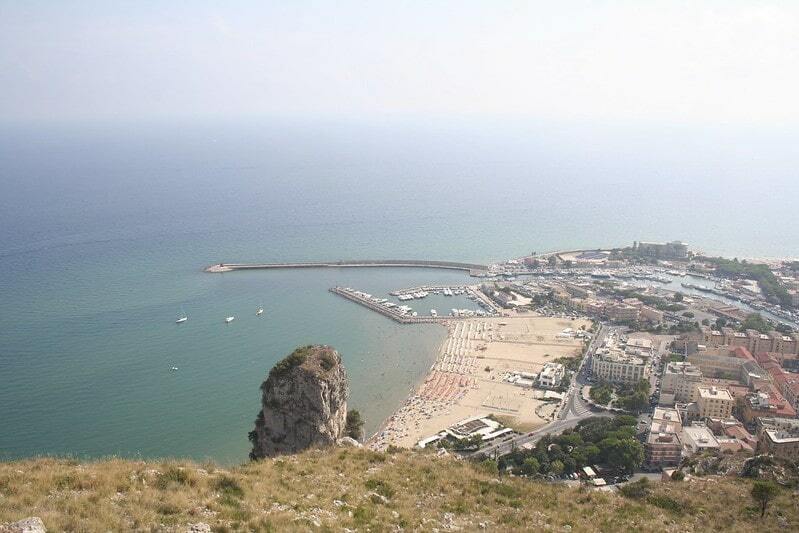 According to legend, the city of Terracina was founded by refugees from Sparta. Homer has Odysseus climbed the Acropolis to see the island Eea, current promontory … then we say: here we are facing a very popular place for its charm. Along the blonde beach runs the promenade, a street lined with tall palm trees that give a sense of the exotic landscape and that will also allow you to enjoy a good walk. This beach is the ideal destination for all those who live their holidays at sea with energy and fun: fitness, water aerobics, beach soccer, beach tennis, beach volleyball are normally included in the offer of the bathing establishments. In addition, for fans of nightlife, various venues offer the chance to dance on the beach until late at night. Since then a beach with fine white sand and a shallow sea is very frequented by families with children. In short, if you want a beach with all the conveniences and entertainment, that of Terracina will certainly not disappoint your expectations. Now let’s talk about one of the most famous seaside resorts of the Pontine coast, the beach of San Felice Circeo, part of the National Park of Circe. A beautiful soft and golden beach that winds under the watchful eye of the Circeo promontory. The coast is very long and alternates highest and rocky at times lower and sandy. The seabed is sloping, therefore ideal for bathing and swimming. The whole is surrounded by a beautiful lush Mediterranean vegetation of dwarf palm, myrtle and broom. Reachable from Rome following the State Road 148, is divided into two parts: the coast of Levante (from Torre Olevola at the Port of San Felice), mostly rich in bathing establishments, and the Poniente, which extends to the famous dunes of Sabaudia, best known for its beaches. Note that the promontory of Circeo is the largest in Italy lowland forest, ideal haven for deer, foxes and wild boars, but also for all tourists looking to relax surrounded by nature. 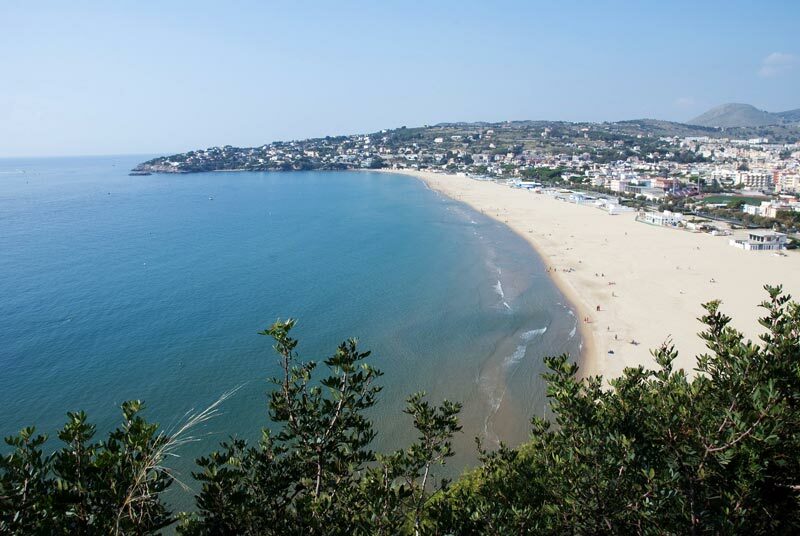 The Serapo Beach is the main beach of the city of Gaeta, which is about a kilometer, located to the west of the Monte Orlando Park. Very popular with tourists both Italians and foreigners attracted by its beautiful sand, the beach is about a kilometer and a half. A time here there was a boundless dune, but with the opening of the glassware (1911) tons of sand were used to fabricate bottles; sand then, over the years, has been reduced up to its present width. Now its dunes have disappeared, but the sand is still the same: clean, clear and light. 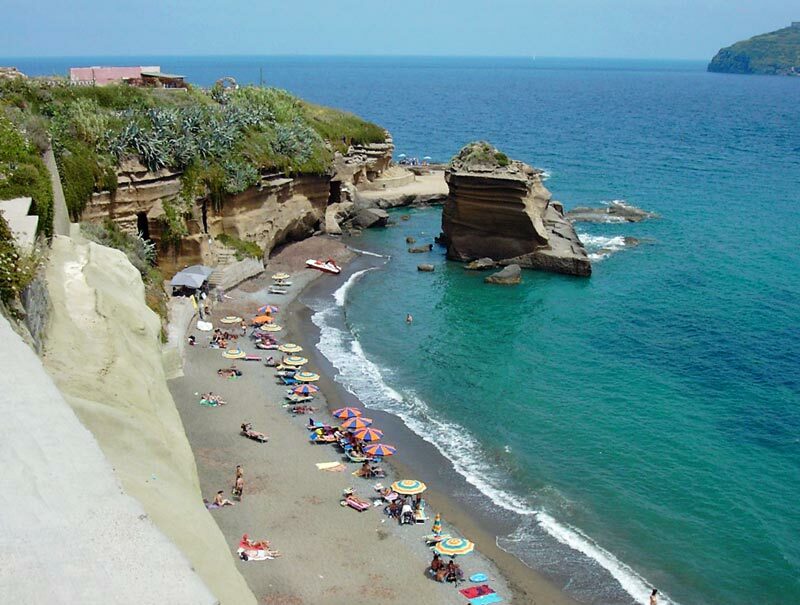 From the beach you can admire “the Serapo Ship”, a rock not far from the shore whose shape resembles that of a ship. The ideal point to be able to see is the Sanctuary of the Split Mountain, located on the south side of the promontory which offers a 360 degree view of the beach. Serapo is the beach below the house, the beach of “gaetani” close and convenient, but is also the beach of all those who enjoy the stretches of fine sand and clean sea. Cultural and archaeological tourism in and around Rome, but also lots of beautiful sea: the Lazio offers tourists plenty of good reasons to spend a nice holiday. So, if you go to visit Rome, remember that just outside its walls you can find kilometers of coastline and beautiful islands bathed by crystal clear waters must see.